The need to link all parts of the country with the advanced technology has been felt by the central government. Technological advancements will bring a host of services within the easy reach of the rural and urban people. One such endeavor of the central government is the establishment of the Vakrangee Kendra. It will bring all kinds of goods and services within easy access through ‘last-mile retail points-of-sale’. Vakrangee Ltd is a company that works by using technology. The company laid its foundation in Mumbai in the year 1990. The company has strength of 4,000+ employees and has been working for the betterment of the overall society. The company works in close association with technological advancements to assist people in getting economic inclusion and acquiring other goods and services. Linked with technology – The very foundation of the company rests on its use of technology. All services are provided to the common people with the assistance of online linking. The very base of operation is set on the use of technology. Providing various services – The system will provide various kinds of service to the common people. It will include anything from banking facilities to acquiring products from online sites, through the Vakrangee Kendras. Mobile and DTH recharge are included in the services. Connecting all parts of urban and rural areas – The main objective of the central government is to give the people of rural as well as urban areas the facility of acquiring the services with ease. It mainly makes the lives of the people living in the remote parts of the nation easy. Amazing execution and track records – From the time of its inception, the track record of the company has been good. It has produced positive results till date. These have been possible due to the flawless execution procedure. Providing banking facilities – The people living in the villages and remote areas do not get proper banking and financial facilities. With the assistance of the system, all these areas can be brought under banking facilities. It will assist all in maintain an account, saving money by using the banking facilities, through the centers. Association with online shopping sites – The system has a link with the Amazon and it will be establishing 37,000 additional centers. These centers will assist the people in purchasing and acquiring things from the online site. App for easy monitoring – the activities of the system, like paying the bills and recharging the mobile and DTH machines, and all other activities can be done via the app. Number of centers operating – As of now, 75,000 centers are operating under the system. These are associated with the banks. The system has already enlisted 31 banks under its umbrella. Banking facilities – Under the system, the common people will be able to get all facilities, which are provided by the banks. These services are available in all parts of the country. Money saving facilities – Apart from the normal banking services, the people in the remote and rural areas will be able to use the services of these centers to deposit money. It is like saving money in the bank accounts. E-Commerce services – The e-commerce services, like ordering goods from the online shopping site like Amazon, and paying for the things, will become easy with the help of these centers. E-governance services – Another advantage of the centers is that it will assist the authority in getting the correct data. It will assist in the process of monitoring and implementing e-governance in all parts. 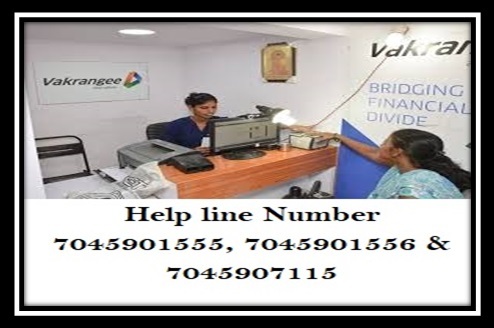 Insurance – If anyone is interested in getting any insurance policy, then they can get the same from the Vakrangee Kendra as well. Loan recovery – With the assistance of these centers, one can also their loan or credit recovered with ease. ATM services – The people, living in the remote areas will also acquire the facility of getting cash from the use of ATM at these centers. One will have to click on the official link of the company to get registered with them. It can be done by clicking on the link http://www.vakrangee.in/. Once the page opens, the candidate will have to click on a link that will provide him/her the address of the nearest Kendra. As the main target of the scheme is to assist the rural people, the candidate will have to get to the Kendra and fill the required registration form. Once this is done, they will be able to take part in the technology driven financial and social inclusion of all. As there are many centers, dotted all over the country, any candidate who is interested in getting the benefits of any service that the system provides will have to search for the center that is located near his/her home. For that, one will have to click on the link http://www.vakrangee.in/. There is a clink on the banner of the program, which is market as “Vakrangee Kendra Locator.” As soon as the candidate clicks on this link, the map of the country will open up. It will provide the location of all the Vakrangee Kendras. Thus, anyone can get the address of the center that is closest to his/her residence. For the assistance of the common people, the company has also launched a mobile application. This mobile application is available for free and it can be installed on all phones that run on the Android operating system. All you have to do is type in the name of the app in the Google PlayStore and follow the instructions to download and install it. It is called the Vakrangee Kendra App. To get information of the application and download it on your handset, you have to click on the link https://play.google.com/store/apps/details?id=in.vakrangee.vkms&hl=en. With the assistance of this unique application, the user will be able to pay any kind of bill, like the mobile phone recharge, DTH recharge and Mahavitran bills. The application also gives the user the options of checking the recharge wallet status and the recharge history. The user can also use this app forgetting in touch with the customer care executives. As the number of such centers increase, more people, especially living in the rural and remote areas will get the advantage of getting connected with the several technological areas. Due to the multifaceted advantages of these centers, common people will get the goods and services that they require within easy reach.